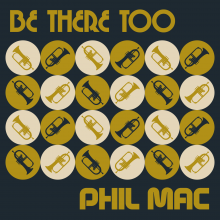 We’re delighted to announce the release of Be There Too, the first release on Spare Room Records from Electro Swing and Vintage remixer Phil Mac. ROOM001 is the first of a series of releases form Phil Mac who has been busy in the studio for the past 6 months on a whole raft of new music and exciting collaborations. Check out Be There Too here with full release in all digital stores.